The sheer volume of coverage devoted to the New York Yankees is obnoxious, but numbers don't lie, and 27 rings warrants some attention. But if Manny and Papi weren't 'roiding out of their skulls during the '04 and '07 World Series seasons, the Sox would be about as storied as the Cleveland Indians. So, their being allocated about 30% of ESPN's daily coverage is a bit perplexing. That is, until you breakdown the makeup of their crew. Baseball Tonight host Karl Ravech once said of the East Coast bias "I don't think it applies to this program. When we go into meetings, we just look for the best matchups, wherever they are." Who is "we" exactly? The program staples (past and present) Karl Ravech, Steve Berthume, and Peter Gammons are all Boston-area natives and lifelong Red Sox fans. 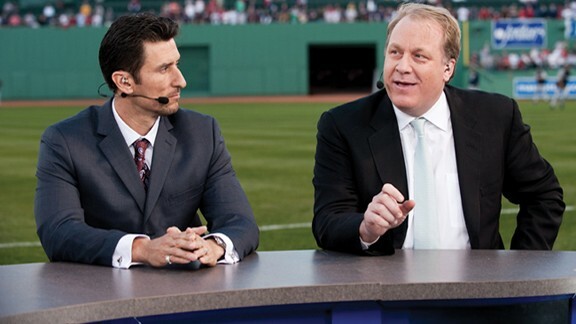 The show's analysts Nomar Garciaparra, Curt Schilling, and Terry Francona, in addition to being utterly unwatchable on television, are also former Bosox. 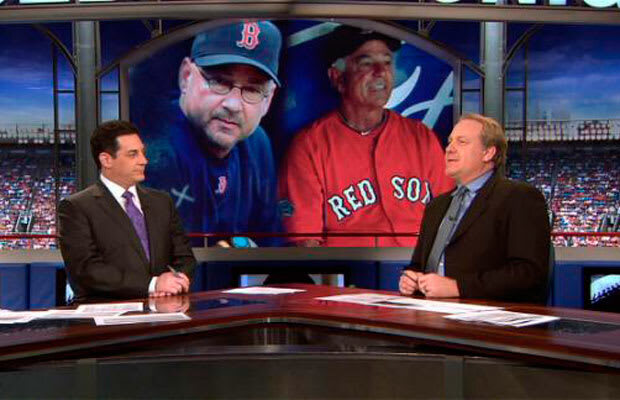 And Bobby Valentine (the stodgiest ESPN analyst of all-time) is now, rather curiously, the Red Sox manager. If the show were any more Boston Marky Mark would host and the opening credits would roll to "More than a Feeling."